2016 brought us a lot of things. Good things. Bad things. And more than a few bizarre things. However you feel about this year though, there's no denying that Twitter, as usual, gave us plenty to laugh about, especially where parenting tweets are concerned. 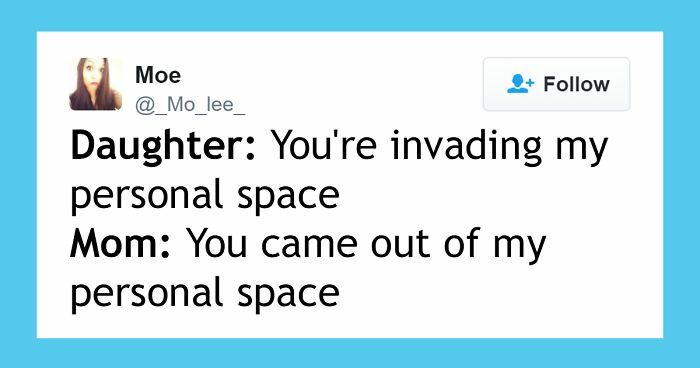 Check out this list of the year's funniest tweets about kids, compiled by Bored Panda, to see what we mean. You don't need to be a parent to find them funny. All you need is a sense of humor. Which one is the funniest? Let us know in the comments below and don't forget to vote for the best! Never mess with the one with the wifi password! way to look at it....... mom :-) that may have stopped her daughter in her tracks. Somebody's been watching too many horror flicks. Well, now we know who ISN'T his role model! I'm a kid and I know our ears will close when we hear things like "close the computer!" The sole reason for being forced to learn algebra. The mom might be a professional at that :D. Kid turned to the right teacher! Lol. Let's hope he clears the history of his nightly Internet sessions, though. Wait! Teddy wants his slippers too! Aw.. the last number... a concept many kids like... prolly gives them a secure feeling of containment. This is so cute, though! My 16 year old just told me I am her friend, I think I win. My kids criticized my cooking and now they cook for me. wow to two ends of the spectrum.... as long as they are happy. But did he win or not? So, have you seen a new movie yet? that's pure evil! I love it! I see AA meetings in your future. Awww..you can not get married or have kids...and still be late. Thats cuz you can not hold onto air. Me. It should have been me. When I was a kid I used to have to get dressed every day...in the snow. I will trade sofas with you! My grandma always have us harmonicas . . . I feel bad for my parents . . .
That can be quite frightening.